Bertha A. Bouroncle, MD, a professor emerita of Internal Medicine at Ohio State who was the first to identify hairy cell leukemia and later helped develop an effective therapy for it, died Aug. 16 surrounded by family and friends at the Ross Heart Hospital. During her long academic career, Bouroncle was internationally renowned for her research and clinical work involving patients with hematologic malignancies. In a landmark paper published in 1958 in the medical journal Blood, she and Ohio State co-authors Bruce Wiseman, MD, and Charles Doan, MD, first identified a rare form of chronic leukemia (initially called leukemic reticuloendotheliosis) that later became known as hairy cell leukemia, or HCL, because of the ragged edges of the malignant cells, which display hairlike projections under the microscope. Her paper is still widely regarded as a substantial accomplishment in the field of clinical research. In the 1980s, Bouroncle and two other physicians who are still on the medical faculty at Ohio State – Drs. Michael Grever and Eric Kraut – worked as a team to develop a purine nucleoside analog called deoxycoformycin, or pentostatin, as an effective therapy for HCL that has helped transform this once uniformly fatal disease into one of the most treatable of cancers, enabling patients to lead a relatively normal life span. This achievement, along with work by many other investigators across the globe, has changed the natural history of HCL. Bouroncle was born in 1919 in Lima, Peru. While attending medical school at San Marcos National University, she worked in a hematology research laboratory and developed a love for that discipline. Upon earning her medical degree in 1948 – finishing first in her class – she won a scholarship for one year of study in the United States and chose Ohio State because the faculty included Drs. Doan and Wiseman, both renowned hematologists. 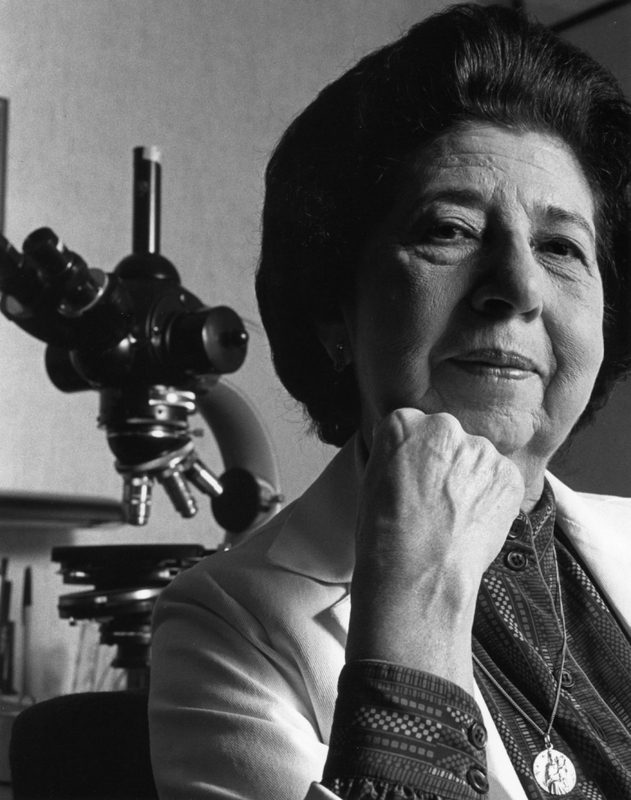 After completing her work as a clinical fellow, Bouroncle remained at Ohio State as a resident in internal medicine and a fellow in hematology from 1949-52. In 1953-54, she served as the first female chief resident at the University, then joined the medical faculty as an assistant professor in hematology/oncology in July 1954. She was promoted to associate professor in 1957 and to full professor in 1970, a position she held until becoming a professor emerita in 1989. Among her awards were (from the Department of Internal Medicine) the Earl N. Metz Distinguished Physician Award, 1999; special recognition in patient care, teaching and research, 1986; Teacher of the Year, 1984; (from the College of Medicine) senior class teaching award in 1986, 1977, 1976, 1975, 1974; Professor of the Year in 1979; Honorary Member of the Class of 1979; AOA Faculty Member of the Year, 1973; (from Ohio State) Faculty Merit Teaching Award, 1978. In addition, the Bertha Bouroncle Distinguished Lecture Award was established in 2001. Bouroncle also gave back to the community through creation of the Bertha Bouroncle, MD, and Andrew Pereny Chair of Medicine to fund cancer research at Ohio State. This chair is held by Grever, who also chairs the Department of Internal Medicine at Ohio State and co-leads the Experimental Therapeutics Program at the OSUCCC – James.